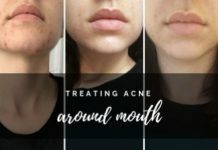 No matter whether you’re experiencing acne for the first time in your teenage years or are still battling with it as an adult, it doesn’t get easier. It can be hugely frustrating when you get outbreaks at the worst possible times. Whether that’s a big day out or a first date. You can be as careful as possible about your diet and cleansing routine and still suddenly see an outbreak of pimples. While there is no exact science behind every possible cause, that’s not exactly what you want to know when you have such an outbreak. All you want is some form of treatment that works quickly and effectively. Fortunately there are quite a few products available that actually do work, rather than just promise to be effective in fancy marketing campaigns. Unless you have very severe outbreaks that are causing a lot of pain, resorting to medicated prescription products should be a last resort. 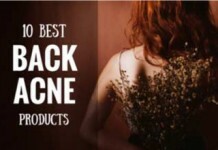 That’s why we have put together this list of the best acne creams available over the counter. They are all available at reasonable prices and all you have to do is pick one that suits your type of skin. If you're in a rush, below are the Best Acne Creams For All Skins & Age Groups, hands down! Eliminates oil and cell buildup. Offers anti-aging & skin soothing properties. When your skin pores get clogged with dead skin cells and excess oil, it allows buildup of bacteria that leads to skin inflammation. First, you develop what’s known as comedonal acne (blackheads and whiteheads), which later turns into severe inflammatory forms such as pimples, nodules, and cysts. 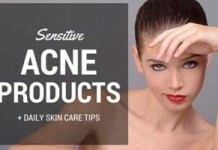 A carefully crafted acne cream should be able to tackle most of these issues, if not all. 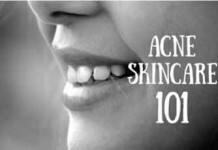 First step towards success acne treatment is to unclog your skin pores. Cleansing is mostly the best option for opening your clogged skin pores. However, some creams for acne are good at doing this job themselves. Salicylic acid is a time-tested pore opening ingredient. 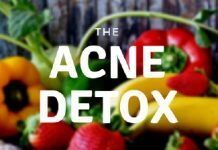 It’s been proven by several studies as one of the most effective ingredients against comedonal acne. In order to remove inflammation from your skin, it’s important that you clear it off all acne causing bacteria. Benzoyl peroxide is a proven ingredient in this regard because of its excellent anti-bacterial properties. Sulfur is another good anti-microbial agent that can help reducing skin inflammation. A good natural ingredient that many products (like this one) utilize for anti-bacteria properties is Tea Tree Oil. It’s effectiveness is well tested and it’s a good option for nature lovers. In order to prevent future acne breakouts, you must control the excess oil produced by your oil glands. 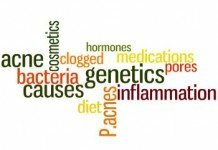 The most effective option for controlling this issue is to control hormonal imbalance in your body, that actually triggers your oil glands to produce more oil (there are more issues, of course). Oral medications, such as isotretinoin is usually recommended by dermatologist in this regard. However, some topical ingredients are also good at controlling excess oil on your skin. These include dimethicone, glycolic acid, hyalorinic acid, vitamin B5, retinol, and also salicylic acid. That’s enough on the ingredients you should look for in the best acne creams you’re after. Let’s quickly dive into exactly what these hand-picked, proven anti-acne creams are that we’ve included in our post after weeks of preparation. 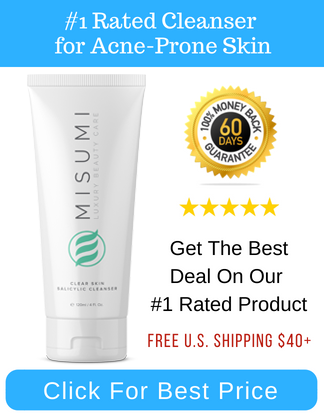 Misumi’s Wrinkle-Free All Day Moisturizer is the perfect last step to any skincare routine, especially for individuals with acne-prone skin. 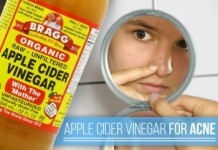 The most important part is that it does not clog pores or aggravate acne. In fact, the formula incorporates zinc oxide, which has great anti-acne properties and is a safer alternative to other chemicals found in most mainstream sunscreen products. Finally, a product that delivers what it promises and really ticks all the checkboxes. This moisturizer will keep your skin supple and radiating with a summer glow. It is also a very effective sunscreen, helping to prevent sunburns, age spots, and wrinkles that are caused by UVA and UVB. The texture sits comfortable on the skin. It isn’t greasy or thick like most sunscreens, so you can just apply it before makeup. Misumi uses beeswax, a natural emollient that helps to lock in and retain moisture for all day hydration. This moisturizer contains zinc oxide which helps to reduce inflammation and redness, calm breakouts, and dry out excess oil. Zinc oxide is also a safe and effective sunscreen, adding a layer of protection for the skin. Exposed Skin Care Clear Pore Serum is a light-weight gel that absorbs easily and goes deep into pores to fight acne and blackheads. This serum is an ultimate boost of anti-oxidants that repairs and rejuvenates your skin without making it greasy. This Pore Clear Serum acts as an acne-treatment due to presence of Salicylic Acid that keeps your zits, blemishes and blackheads at bay. This serum opens your pores eliminating oil and cell buildup and also protects from bacteria invasion reducing blackheads and pimples. Green tea extract blocks androgen receptors in the skin that eventually leads to low sebum production and helps in reducing acne which is caused due to excessive oiliness. It contains Licorice Root Extract, an anti-oxidant that offers anti-aging and skin soothing properties. It effectively combats hyperpigmentation occurred due to acne. Panthenol, a Vitamin B derivative is also included to relieve your skin from itching and irritation. It contains Glycerin to maintain your skin’s hydration and moisture level. No moisturizing lotion is required after use as this product does not dry out your skin. Since this cream contains ingredients that efficiently preserve the moisture in skin such as basil oil and Licorice root extract, it will make oily skin to break out. It contains fragrance and might cause allergy to sensitive skins. Gently apply a pea-sized amount on your face. Apply overnight for best results. 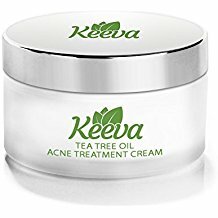 Keeva Organics Tea Tree Oil Cream is a powerful combination of science and nature that leaves your skin clear, nourished and acne free. Keeva focuses on bringing the nutrients from different herbs and botanical extracts to neutralize the effect of chemicals. This cream contains Tea Tree Oil as the active ingredient which possesses anti-bacterial properties and fights acne-causing bacteria to give you acne free skin. It also provides healing properties and it will not strip your skin of its natural oil which will leave your skin soothed. 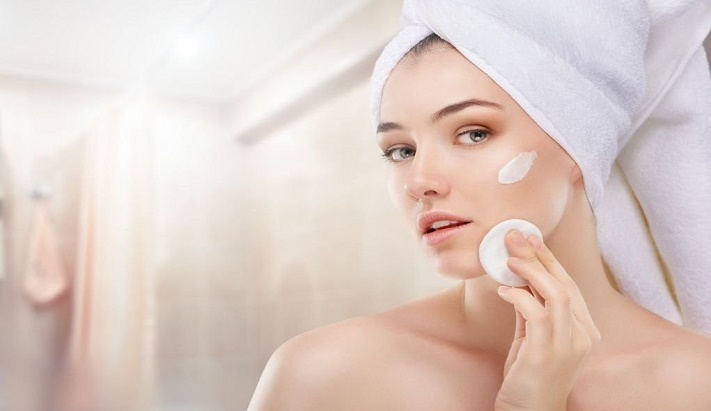 The presence of Salicylic Acid stimulates the dead skin cell shedding from the skin that leads to unclogged pores reducing acne, blemishes, whiteheads and blackheads. It contains Stearic Acid that protects the skin’s surface from water loss and ensures skin moisture. It includes various anti-oxidants such as Shea Butter, Sesame Seed Oil, Grape Seed Extract and Olive Oil traces that diminishes dark marks and improves the texture of the skin. Hyaluronic Acid helps in filling skin tissues with collagen to give you a brighter and soft skin. It is alcohol-free and paraben-free. 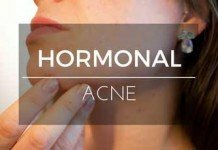 This acne cream might cause allergy on sensitive skin. This formula is rich in essential skin oils and can cause oiliness on extremely oily skin resulting in horrible break outs. Apply a pea-sized amount on your fingers and gently spread on pimples. Leave it for few hours before washing for effective results. Clearasil vanishing Acne Treatment Cream is a dermatologically tested formula that visibly reduces the size of your acne and redness in as little as four hours. It is a 24 hour Maximum Strength Control for acne and blemishes. This Vanishing Cream is formulated with 10% Benzoyl Peroxide as an active ingredient. This lets this cream easily unclog your pores preventing the formation of whiteheads, acne, cystic lesions and pimples. It is designed with Acceloderm Technology that ensures the penetration of pores for the infusion of acne medication through various ingredients. The traces of bentonite clay are added to detoxify your skin pores from oil and sebum. 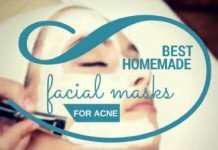 It also helps your skin in healing inflammation and banishing the acne scars. It does not contain fragrance and is alcohol-free making it suitable for sensitive skin. This product helps hyperpigmentation and minimizes the appearance of acne scars ultimately toning your skin. This cream contains parabens and might not be suitable for you if you are allergic or sensitive to parabens. It contains various ingredients that remove excess oil from your skin and might cause over dryness and peeling on your skin. Since, this product is drying it dries quickly without being properly applied and flakes off producing no result in rare cases. Apply thin layer of this cream on affected areas 2-3 times a day. Use a moisturizing lotion if dryness occurs. Follow up with a sun screen if going outside. Burt’s Bees Herbal Blemish Stick as the name reveals is a 100 % natural formula and is a combination of 10 natural herbal ingredients that clarify and exfoliate your skin unveiling a blemish-free and acne-free skin. The tea tree oil and juniper oils included in this formula have anti-septic and astringent properties that helps in eradicating acne-causing bacteria and contracts skin cells to squeeze out all the oil and dirt accumulated in pores. It contains Willow bark extract that comprises Salicylic Acid that acts as a natural exfoliator by shedding dead skin cells and stimulates cell turnover. It is fused with essential oils including Eucalyptus Oil that is long known for killing acne bacteria, drying out acne and healing inflammation. Lemon oil is added as a natural detoxifier that provides anti-septic properties for treating pimples and reduces excessive oil on skin. It also adds sheen to your skin because of its skin-lightening properties. Since, this formula is completely natural you don’t have to worry much of any side effects. This blemish stick is hard to apply because of its roller packaging. As it contains natural ingredients this can be stingy at times. The presence of dilute alcohol makes it a little unsafe for sensitive skin. If you have extremely oily skin this product might smudge off producing no results on your skin. Apply blemish stick directly on the acne concentrated areas. Avoid touching you face after application. Follow up with baby lotion if it dries your skin. Amara Organics Vitamin C Serum formulated in USA is a refreshing boost for your skin that repairs your acne-prone skin with its perfect and rich blend of anti-oxidants stimulating reverse anti-aging process giving you a radiant skin. This serum is brewed with 20% Vitamin C that clear up acne, tightens pores and prevents blemishes and break outs. Vitamin C along with Vitamin E promotes the collagen production that regenerates the skin cells giving you a brighter skin and also reverses the skin-agingprocess. It contains Aloe Vera extract that holds anti-bacterial and anti-inflammatory properties to keep your pimples and zits away alongside healing your skin from redness and inflammation. The presence of witch hazel extract removes excess oil from your skin as it possesses astringent qualities. Glycerin helps in maintaining skin moisture level and fills all the fine lines and wrinkles. It is rich in anti-oxidants such as Jojoba Oil, Vitamin E, Germanium and Dandelion extract. Hyaluronic acid helps in retaining skin moisture and contributes in the anti-aging process. It does not contain dyes and is free from alcohol. This serum contains several essential oils that moisturize skin and can cause your skin to break out if not properly absorbed. 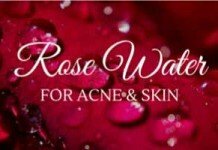 The application of this serum might dry out and irritate your skin if you are allergic to any of the organic ingredients present in this serum. Wash and pat dry skin. Dab a small of serum and apply with finger tips on acne concentrated areas. Allow it to dry and follow with a moisturizer. Differin Adapalene Gel is an FDA approved prescription strength retinoid acne treatment that includes Adapalene to help you clear your pores preventing acne. Furthermore, it restores your skin’s moisture level giving you a radiant and younger looking skin. This acne treatment gel contains retinoid Adapalene that reduces the growth of keratin surface skin cells that block pores reducing acne caused by pore blockage. Adapalene also acts as an anti-inflammatory agent that heals and soothes your painful blemishes and reduces redness. 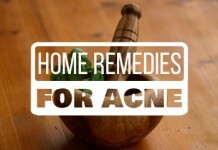 It also helps cystic acne by reducing swelling. It gently exfoliates your skin emulsifying all the excess oil that causes blackheads and whiteheads and balances your skin hydration. Since it has a thin consistency it is easy to apply, readily absorbs in your skin and leaves no traces. 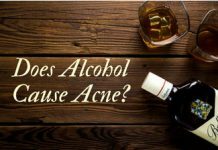 It does not contain alcohol and fragrance that might irritate your acne-prone skin. Adapalene can cause severe burns if you are allergic to it so do a patch test before applying it on your skin. It can over dry your skin and as a counter function your sebaceous glands might produce excessive sebum causing your skin to break out. 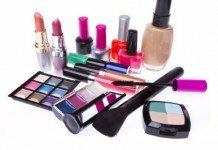 It contains parabens and might be abrasive for you if you are sensitive to paraben. Spread out a thin layer of Differin Gel on acne affected areas. Use a moisturizer afterwards to prevent dryness and rash. Retinol Surge Moisturizer serves as one of the best acne-fighting creams that have been designed with the most effective anti-aging ingredients in the skin care industry. This cream lets your skin lock moisture inside it alongside preventing acne. This moisturizing cream uses Retinol, a Vitamin A derivative to cure your acne by unclogging your pores and discarding the excess oil buildup on your skin. Retinol being a major component also triggers collagen to reduce fine lines and wrinkles giving you a smoother skin. It is fused with Hyaluronic Acid that helps in retaining skin moisture and speeds cell turnover process to diminish the signs of aging. Glycerin fills the pores to provide a smoother skin and heals redness and inflammation. The presence of Aloe Vera Extract provides anti-bacterial properties to resist your acne-causing bacteria eliminating pimples. It contains anti-oxidants that nourish your skin such as Green Tea, Shea Butter Extract, Jojoba Oil, Vitamin B5 and Vitamin E.
It is fragrance-free and does not contain paraben. This cream contains alcohol that might be abrasive for your skin resulting in rash and burns. Since, this cream has a moisturizing effect oily skins might face greasiness on their face resulting in more break outs. If you are allergic to Retinol you should avoid using this cream as Retinol causes redness, peeling and irritation. Exfoliate your skin using a gentle cleanser. If you use serum, apply serum before using this cream. Follow with a sun screen if moving outside. 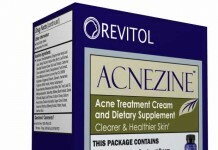 Acnomel Adult Acne Medication Cream sounds like a good news for those who are allergic to Benzoyl Peroxide. This formula has been carefully derived to save your acne-prone skin from the drying effect of Benzoyl Peroxide and to provide it maximum protection from acne. This cream contains 2% Resorcinol as its active ingredient. Resorcinol helps in the shedding of rough skin to promote new cell growth unclogging your pores. Resorcinol also acts as a disinfectant and reduces the chances of acne-causing bacteria invasion preventing the formation of blemishes and pimples. It comprises of 8% sulfur which fights the acne-bacteria and draws impurities from skin including excess oil and sebum. Bentonite clay provides your skin with essential minerals and acts as an exfoliator to get you rid of your acne. This cream keeps your skin hydrated and moisturized due to the presence of Titanium Dioxide which is a skin-conditioning agent. This is a tinted cream and provides you coverage and conceals your zits like no other. This cream is best for those who are allergic to Benzoyl Peroxide and acts as an alternative for them. Although Resorcinol fights bacteria it is also a skin irritant and might cause over dryness and rash. It contains alcohol that might over dry sensitive skin and cause them to peel off. This cream has added fragrance that might be abrasive for your skin. This formula smells like a rotten egg and might be difficult to bear. Cover the acne areas with thin layer of cream. Use every day, if dryness occurs reduce the frequency of application. Clean & Clear Acne Spot Treatment Gel comes with a powerful breakthrough technology and dissolves the surface oil on the skin unveiling a skin free from acne and pimples in as little as four hours. It has clinically proven to show clearer skin in 100 percent of testers within one day. This gel contains Salicylic Acid as an active ingredient which helps in keeping your blemishes and pimples at bay through its cell turnover stimulation to unclog your pores. It includes Glycerin to provide you acne spot treatment by healing the acne scars and reducing oiliness on your skin. This formula prevents dryness and maintains the pH of your skin that helps in fighting bacteria that cause acne. It contains witch hazel extract that acts as an astringent and remove excess oil from your skin reducing chances of break outs. The presence of Ammonium hydroxide gives anti-aging properties and restores the hydration level of your skin. It comprises of botanical extracts that soothe your skin and neutralize the effect of chemicals present in this gel. This product does not contain paraben. This gel comprises alcohol that can over dry your skin and cause bothersome peeling. In severe cases it can also cause burning. This gel is moisturizing and might make your skin greasy resulting in zits and blemishes. Thoroughly cleanse skin before applying gel. Dab small amount on hands and apply on acne affected areas. 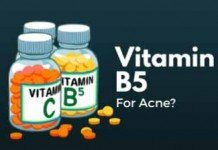 Were you able to choose any one from these top creams for acne prone skin? 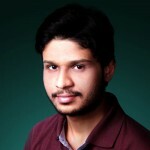 Is there any recommendation you’d like to make? Please share your thoughts in the comments below!